Eighteen "pollution hotspots" in England have been awarded funds to cut bus emissions, as part of efforts to meet EU targets on nitrogen dioxide. The government has been taken to court over its failure to meet NO2 limits and has spent £20m since 2011 trying to make old polluting buses more green. 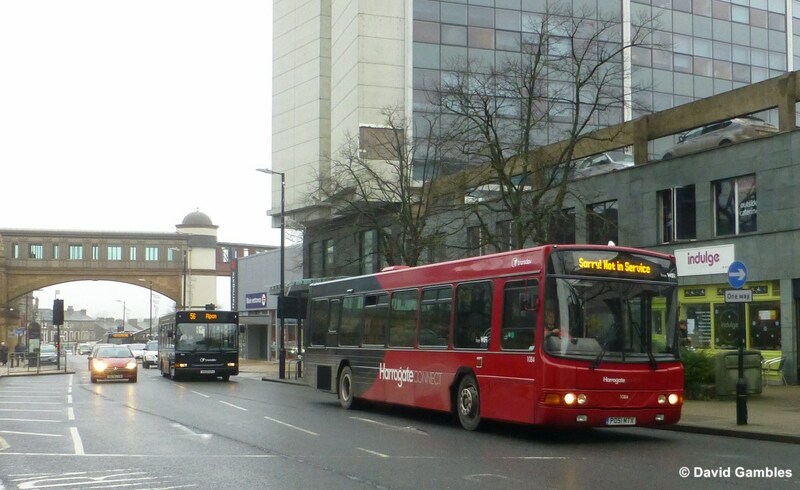 The 2015 award will split £7m between 18 areas, to upgrade 439 buses with technology to reduce exhaust emissions. Funding was prioritised for the most polluted towns and cities. The 18 councils and transport authorities that will share the Clean Bus Technology Fund 2015 are in Birmingham, London, Leicester, Liverpool, Sheffield, Leeds and West Yorkshire, Bristol, Brighton, Gateshead, Sunderland, Manchester, Lancashire, Norfolk, York, Harrogate, Broxbourne and Rossendale. Fifty buses will be upgraded in London, 38 in Rossendale, 35 in Bristol and Brighton and 32 in Leeds. The UK is failing to meet EU targets on NO2 and the government says targeting buses - which have high mileage and long "operational lives" - can help. Among the pollution hotspots is Bristol - European Green Capital 2015 - whose mayor said the city had a "huge responsibility" to build on the momentum of UN climate talks in Paris. He said the money would "clean up our dirtiest buses on the busiest routes". The buses will be fitted with "selective catalytic reduction" technology to treat exhaust gas. The government has already spent £20m on retrofit schemes since 2011, having struggled to meet EU targets on NO2 emissions, of which diesel vehicles are a key source. In April, the Supreme Court ruled the government must put together new air quality plans by December 31 2015, after a case brought by environmental lawyers. It revealed plans for new "clean air zones" in five cities by 2020 - which would see older polluting buses charged to enter them. Managing Director of Brighton & Hove Buses Martin Harris said: "This funding is a triumph for the ever-improving partnership work between local bus operators and the council. The city serves more passengers per head of population than anywhere in the country outside London and we are committed to investing in our environment. "This welcome boost of Government funding is a recent addition to our own investment of over £24million into new buses and technology. 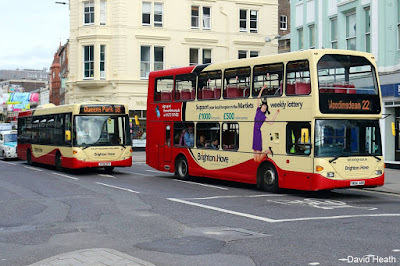 More than 50 buses have already been retrofitted to higher environmental standards, along with 24 new buses and 13 diesel-electric hybrids all helping to improve air quality". Other partnership work between the bus company and the council has led to the successful implementation of the city's Low Emission Zone as well as improvements to traffic light sequencing to reduce vehicle idling time.